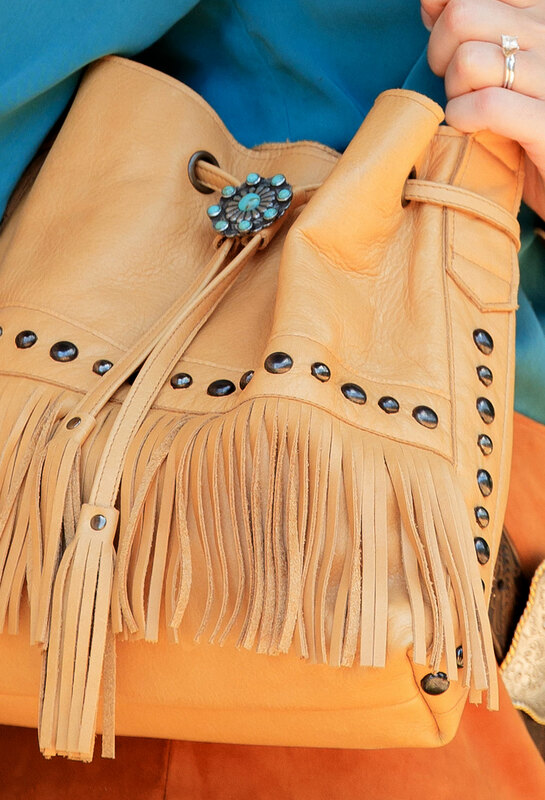 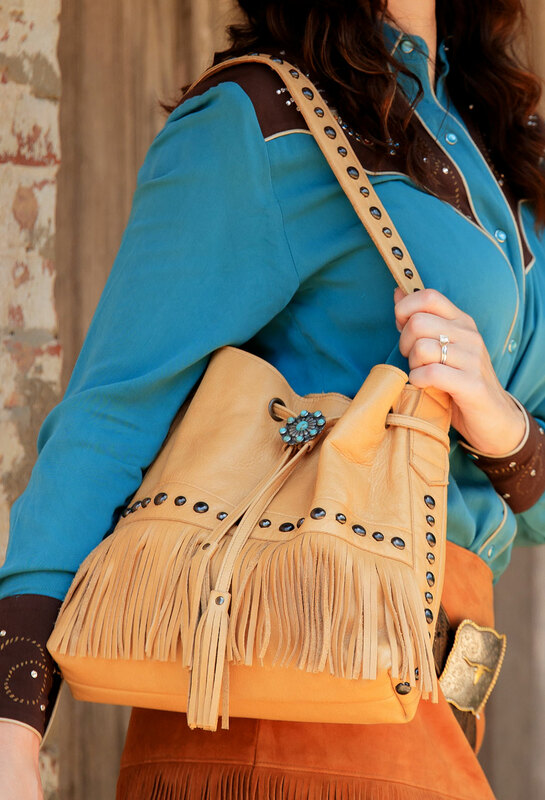 Supple cowhide bag is accented with fringe and antiqued metal studs on the purse and strap. 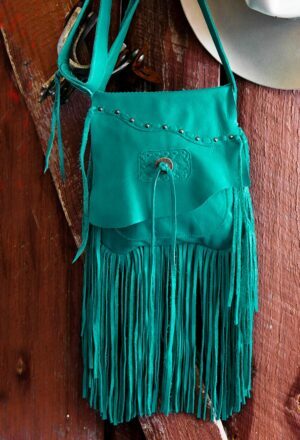 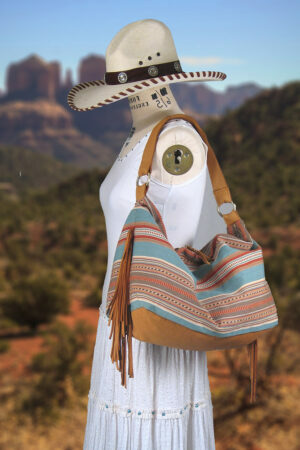 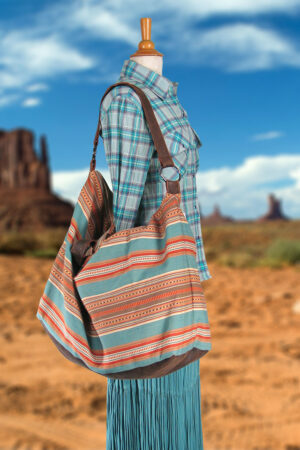 Drawstring with turquoise concho slide closes the lined bag. 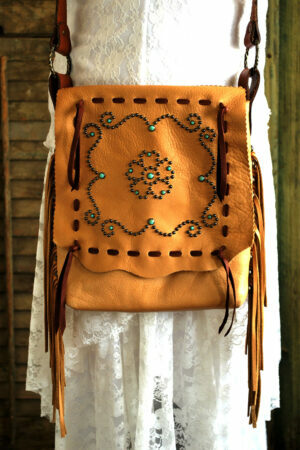 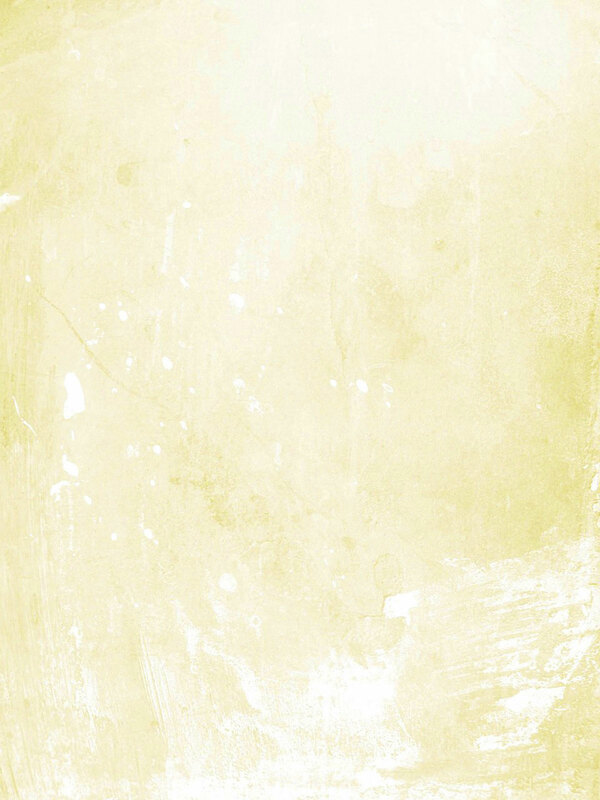 Measures 12″ W x 12″ H x 3″ bottom gusset.